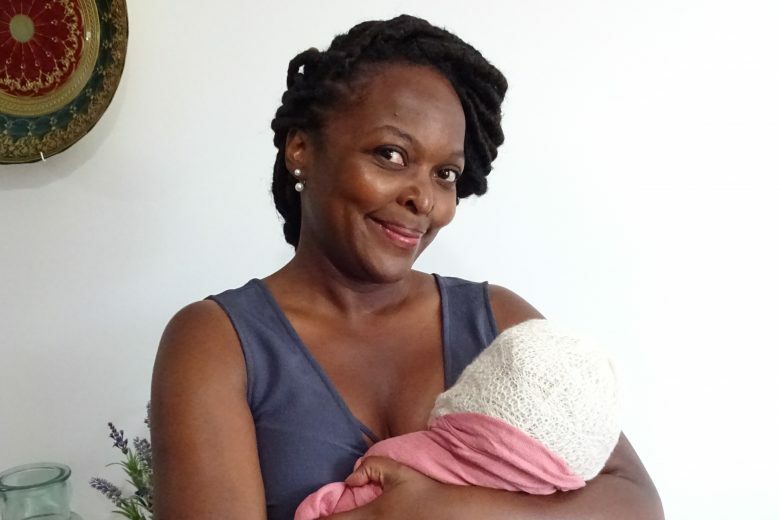 Read how paediatrician Tamara Bugembe was inspired to launch Helper Bees, a niche childcare agency that supports families with young babies aged 0-18 months, after watching parents struggle with childcare. I am a paediatrician who specialises in neurodevelopmental problems. I trained as a general paediatrician so I have looked after children from those born prematurely, to young adults. I am obsessed with child development and things we can do to enhance children’s development through play and interaction. I don’t have children (yet) but I think that this makes me better at helping families get the help they need. My ignorance does not allow me to assume anything about a family’s experience of having a child. I am no position to undermine anything that they find difficult or distressing, because I haven’t lived through it myself. Not having children makes me a better listener and through my clinical practice, I have gathered lots of practical tips that I can pass on to the families we help. Where did the idea for Helper Bees come from? The idea for Helper Bees grew slowly with every parent I saw who was doing a great job, but just needed a break to recharge their batteries. The family that gave me the final push to set up the business were a couple who were blessed with triplets on their second round of IVF and suddenly found themselves with four children under the age of three! This happened in the middle of the summer holiday, at a time when everyone who could have helped this family was either on holiday or struggling with their own child care. I convinced a few of our student nurses to help the family around their shifts. The students made a bit of extra money, the parents got a break and Helper Bees was born. I have absolutely no business background and so I attended a few start-up workshops (Enterprise Nation) and read widely about starting a business. I tested the idea on several parenting platforms and got lots of encouragement. Last year I was accepted into a star-up accelerator at Kings College London which has really propelled my business from concept to trading. Unlike most childcare agencies that will propose babysitters with a wide range of experience and expect parents to select the right childcare helper for their family, I have focussed on recruiting only student nurses and midwives, who have the right skills and credibility to be trusted with a new-born baby. As a children’s’ doctor, I understand what knowledge and skills a student will have at each level of their training and can select the right person for each family. This frees the exhausted parent from the tedious process of screening, interviewing and recruiting the right help, and gives them the peace of mind they need to relax. Helper Bees is designed for families with babies under the age of 18 months. We are particularly good at supporting families with twins, triplets and babies who were born prematurely. Many of our customers have also used us for adhoc help around keeping in touch days or when working from home. We only cover London and Surrey at the moment, but plan to expand to Oxford, Bristol and Bath. We have quite active Facebook and Twitter profiles, and when I am not working as a doctor, I do my best to attend antenatal classes and postnatal activity groups. It has been a very demanding time in the health service so I have had to rely on social media marketing quite a lot. But the most effective thing has been to get out and meet parents at baby groups and antenatal classes. This makes perfect sense because once parents have met me and seen me, they are more comfortable trusting me with their babies. The biggest obstacle has been my fear that I people would not trust me because I have not had children myself, but as I have got feedback from parents they’ve told me that they really appreciate the lack of judgement that comes with not having battled through life with a new-born myself. Earlier this year I was invited to participate in a “Meet the Expert” session at the Baby Show in London. Being able to reassure expectant parents that we were there to help and have them call us three months later, confirmed that the service we provide was useful and required. Raising children is supposed to be a community effort and it is heart-breaking to see parents struggle to do this on their own. The demands of parenting alone has an impact on child development, feeding and growth and the parents relationship. My whole career has been about making life better for children and their families, and Helper Bees is another way to do this outside of my medical practice. The author Toni Morrison. She said “If there is a book that you want to read, but it hasn’t been written yet, you have to write it”. In writing the books that she wanted to read, she gave a voice to the stories of a lot of black women like me, who were invisible to the world. I don’t. I know that if I am excelling in one area, I am failing at another. Fortunately, the dreadful hours as a junior doctor helped me to accept this fact a long time ago and I don’t try to be a superwoman. Give yourself permission to mess up. Learn how to negotiate and delegate. You can find out more about Helper Bees on their website.